Trespassing is a criminal offense in which a person enters or maintains a presence on a property or conveyance without invitation or authorization. Under Florida law, those who are caught trespassing are guilty of a misdemeanor of the second degree. Juveniles are common trespassers in Florida. Kids all over the state might be pressured by their peers to explore abandoned houses, visit their school after dark when its facilities are closed or explore a construction site. These activities are dangerous and illegal, but hardly uncommon. The South Florida juvenile criminal defense attorneys at The Ansara Law Firm have defended hundreds of minors in both juvenile and adult court. Hiring an attorney when fighting a juvenile charge is absolutely necessary to keep your child out of adult court and get them the second chance they deserve through juvenile court with a sealed and expunged criminal record. If your child was recently arrested for Trespass in Structure or Conveyance in Broward, Palm Beach or Miami-Dade county, call our attorneys immediately to ensure the best outcome for your child’s case in order to protect their future. In the state of Florida, there are five major categories under which people can trespass. Trespass to Structure - This term refers to trespassing within another person’s home to which the offender is not authorized or invited to enter. Trespass to a Conveyance - A conveyance is anything other than a home which is entered without authorization. Trespass to Land - Occurs when a defendant enters or occupies somebody’s land or empty lot. Trespass on School Grounds - This occurs when someone who is not authorized or invited enters public school property. In the cases of juveniles, these charges are issued to students who enter the campus after it is closed or to students who are suspended from school and choose to return to campus. Trespass on a Construction Site - Construction sites are commonly trespassed in by juveniles. In some states, construction site trespassing is punished more severely than other trespassing crimes because the liability is so large for the owner of the site if someone was to injure themselves. Depending on the incident in question and the arresting officers, juveniles can find themselves in a lot of trouble for trespassing. Trespassing is an offense under the same statute as burglary, so the police officer responding to the situation can manipulate the circumstances and charge a juvenile with burglary when they were really just trespassing. Burglary is a felony in the state of Florida, and the state of Florida sends more juveniles to adult court than any other state. Florida law allows prosecutors to move juvenile cases to adult court at their discretion without any input from a judge. This is an inherently flawed practice because prosecutors are incentivized to get as many guilty verdicts as they can as part of their job, and the threat of adult court is usually enough for a juvenile defendant to plead guilty in juvenile court. Also, black boys specifically are disproportionately targeted and sent to adult court for nonviolent drug felony charges. A black boy is two times as likely to be tried as an adult in Florida court than a white boy, despite the fact that black boys under 18 account for 27.2% of juvenile arrests and white boys account for 28% of juvenile crime. The state of Florida’s justice system is far from perfect, especially when it pertains to juvenile crime. Florida prosecutors are out to get as many guilty convictions as they can under their belts to improve their professional reputation. If your child has recently been arrested for a trespassing crime, make no mistake- the State is out to get them. Call the South Florida juvenile criminal defense attorneys at The Ansara Law Firm to protect your child’s future by keeping them in juvenile court where they will be given a chance to correct their behavior without receiving a permanent criminal record. Juvenile offenders who acquire a criminal record are more likely to offend as adults than their counterparts who do not receive a record. Don’t leave your child’s future in the hands of the State. Call our attorneys immediately for a free consultation. 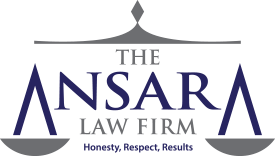 If you, your child, or the child of a friend or loved one have recently been charged with juvenile Trespass Structure or Conveyance in the greater South Florida region, call The Ansara Law Firm immediately at (954) 761-4011 to schedule a free initial consultation to discuss your legal matter.